Early fifties took Harley Earl, chief designer at General Motors, the plan to develop a new sports car that the then popular European sports cars party would offer. The prototype of this car in 1953 was first shown in public and immediately garnered a huge success. In June 1953 the series construction began. To save weight got this first American sports a carbon fiber body. However the use of this new building material caused problems, so that year only 300 pieces of barely 1300 kilo Corvette 1953 top speed of 172 km / h, by rolling the tape. 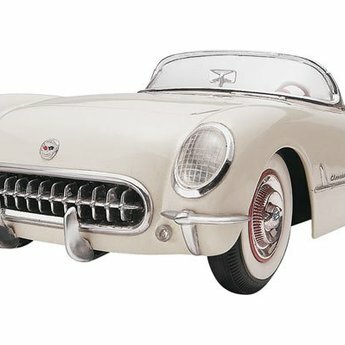 This Corvette, however, formed the basis for a legendary success story which until today, more than 60 years later, still continues.